Horeseradish is a powerful plant that is related to cabbage, broccoli, mustard, and wasabi. 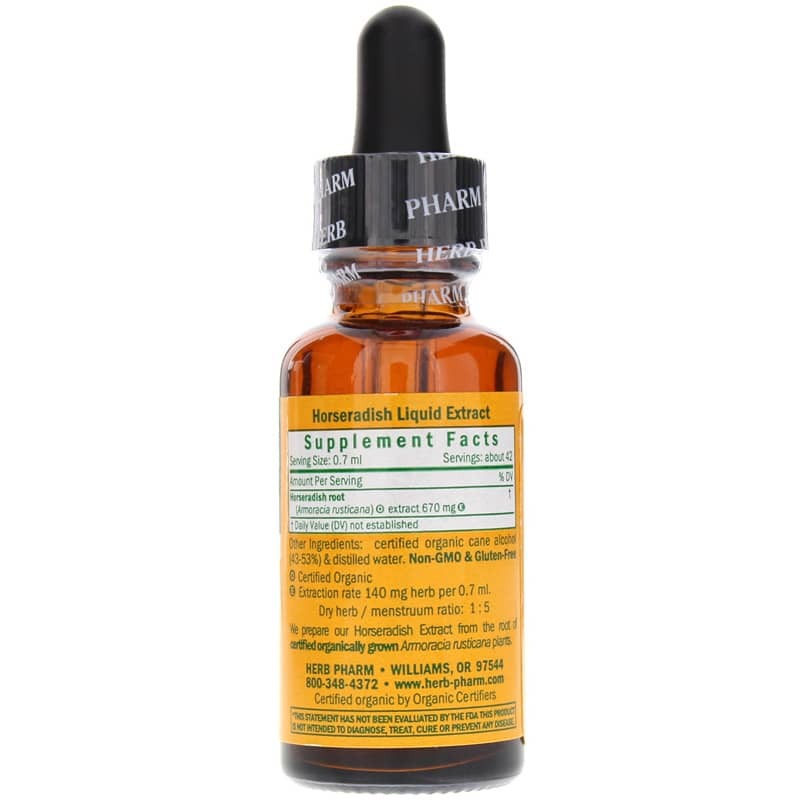 It is thought to have a number of health benefits, and has been used for many years as a reliable way to support optimal overall health and wellness. 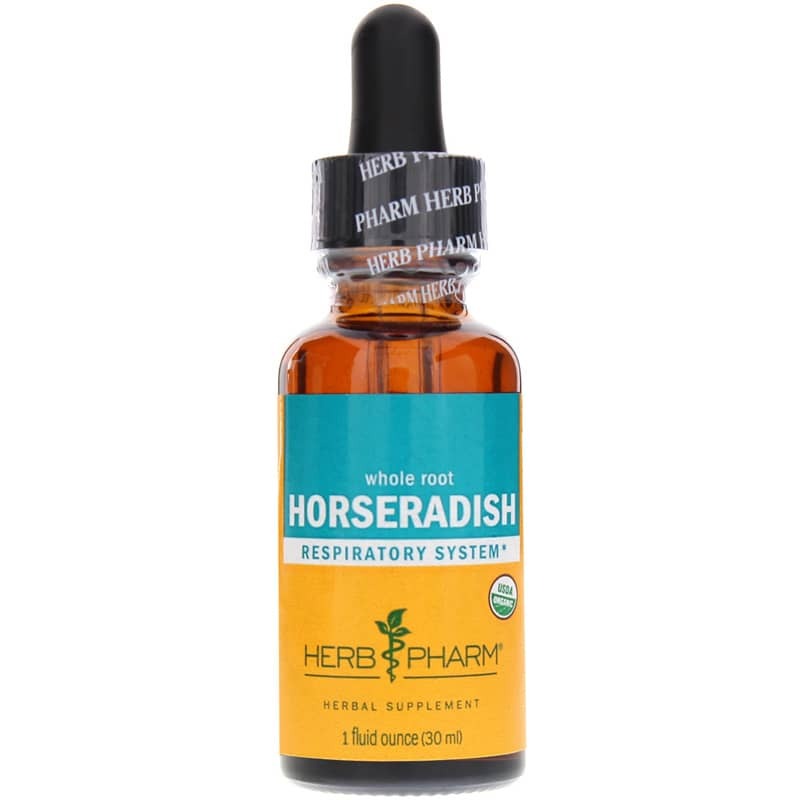 Herb Pharm's Horseradish Whole Root is a liquid herbal extract that provides support for better health through a number of benefits. The plants used in this product are certified organically grown, and the roots are harvested in autumn or spring. They're carefully dried in the shade and then extracted for a quality product. Horseradish Whole Root can be used between two and four times every day. Just add 30 to 40 drops to a small amount f water and drink up to support your overall health and wellness. Give it a try today and see the difference it may be able to make for you. Order now! Other Ingredients: certified organic cane alcohol (45-53%) and distilled water. 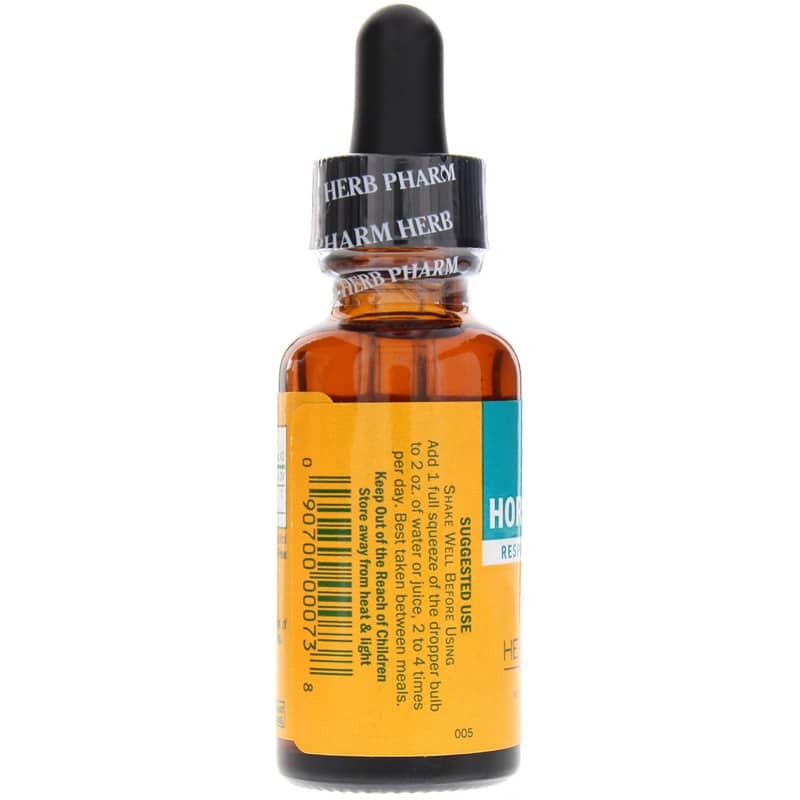 (E) Extraction rate 140mg herb per 0.7ml.